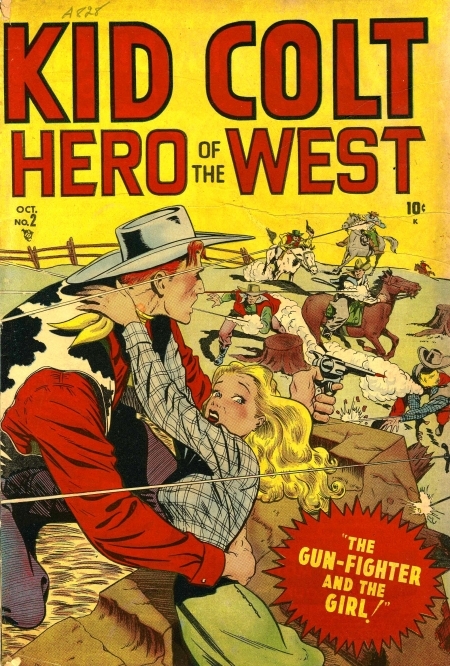 "Kid Colt Hero of the West" on the cover. The Gun-Fighter and the Girl! 3629 The Gunfighter and the Girl! 3812 Cards or Guns -- Draw, Kid Colt, or Die! 3031 Burning Bullets Blast A Border Town!